Today is my birthday. This is the perfect day for me to share my thoughts about the new Mod Podge Rocks! 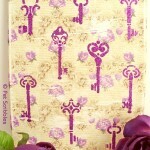 Decoupage Your World book by Amy Anderson. And the perfect day to host a giveaway for a free copy of Amy’s book too. Because I’m as old as Mod Podge. Not kidding! Mod Podge just turned 45. And actually I turn 46 years young today. That makes me older than Mod Podge. Hah! Thankfully I don’t look my age, and very often don’t act my age either! Last year when I turned 45, it felt like such a cool age to me. The past few months, thinking about turning 46… well, I was dreading it. It felt like the beginnings of a sad march towards 50. But when Mod Podge turned 45 recently, and many people were surprised that the product was that old, my entire mindset about my age became hilarious to me. You see, people are always surprised that I’m “that old” – same reaction people have to Mod Podge’s age. This isn’t me being cocky about my looks, this is me admitting that I still look like someone way younger than apparently what some stereotype out there tells people that 45, er um…now 46, should look like. And that’s pretty sweet! My first time playing with Mod Podge – because that’s how it always feels to me – was back in the 90s, when I used to watch so many fun crafty shows on cable. Remember those days? Back then, I used it strictly as a traditional decoupage medium. A few years ago, I came across a blog called Mod Podge Rocks!, and began to see just how handy Mod Podge can be when making so many different types of crafty projects, not just for decoupage crafts. I was amazed! And I was even more amazed by the woman behind the blog, Amy Anderson. This gal loved Mod Podge so much, she began a blog about it. Plain and simple reason. 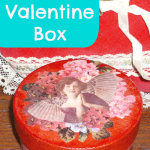 And the projects she shared – things she made, as well as things other crafters made – were so much fun. First I began to bookmark the projects that I wanted to do. Fairly quickly, that became unmanageable. Next, I decided to subscribe to Amy’s blog, thinking that the daily emails would be a much better way to keep tabs on the projects I want to try. Well as of today, I have 146 emails “saved” from the Mod Podge Rocks! blog of projects I want to try. And now that there’s Pinterest? Well, there’s projects saved on there too. So yes, full disclosure? I’m a huge fan of Mod Podge and of the Mod Podge Rocks! blog. When I took a job as the editor of a handmade blog, I reached out to Amy as one of the first people who I wanted to guest post. She agreed, and not only was I thrilled, but so were our blog’s readers! You see, Amy’s blog posts aren’t just tutorials, they are also quite often hilariously funny as she shares her own trials and errors with new products while she Mod Podges away. When Amy isn’t sharing a project of her own, she shares projects from around the crafty interwebs by other equally impressive crafters. Seriously, you need to put Mod Podge Rocks! on your blog reading list. That’s why I was so excited to receive a copy of Amy’s book from her publisher, Lark Crafts, to review. Lark Crafts is an awesome publisher of craft and design book, so it made total sense to me that Lark would be the publisher of Mod Podge Rocks! 611 words into this post, and what is my review of this book? The book begins with what is called a Mod Podge Primer, where Amy not only gives you the background on the various Mod Podge formulas, but also gives you tips and helpful full-color pictures to demonstrate her pointers. This is a soft-cover book, 128 pages with over 40 fun projects. I like that it is a soft cover, as it makes it easy to keep open while working on one of the projects in the book. As with so many of Lark’s crafty how-to publications, Mod Podge Rocks! 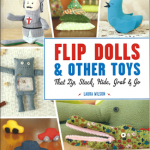 features projects by Amy as well as nine other well-known crafters who contributed fun tutorials for this book. The projects are split into three distinct sections: Wearables, Home Décor, and Holiday. Each project includes full-color photos with clear step-by-step instructions, written in Amy’s wonderfully engaging writing style. This is a year-round resource book in my opinion, as you can make . . .
…a Retro Floral Outdoor Chair for the Summer . . .
…some Fall Painted Acorns in August . . .
…a Halloween Countdown Calendar in the Fall . . .
…Patchwork Christmas Ornaments for the holidays . . .
…and all sorts of gift ideas for your friends and family members year-round! Or how about a stunning Moroccan End Table? Toward the end of the book is an image gallery of 18 additional projects created with Mod Podge. Each project includes the name of the artist and a link to their blog where you can learn more. After the gallery, you get two pages of templates needed for some of the projects within the book, and then a page with bios on each featured designer, as well as some background on Amy as well. In conclusion: I give the book two Mod Podged thumbs up. It’s got a good beat and you can dance to it! Honestly? Anyone reading this is already interested in the book. My review is simply telling you that you’re correct in being interested, as this is a must-have resource for your craft bookshelf. So who wants to win a copy of this book? You do, right? All you have to do is enter below. Disclosure: I was provided with a free review copy of the book, and was given an additional copy to give away, courtesy of Lark Crafts. The opinions about the book are entirely my own. “Terumi” was the random winner chosen via Rafflecopter! Congratulations Terumi! For those that didn’t win, I appreciate your awesome comments (answering the question) big-time! Thanks so much for participating with your tweets, likes, and comments! 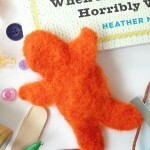 Click here to visit another crafty blog currently giving away a copy of Amy’s book + a fun array of supplies too! I use Rafflecopter for my giveaways. If you aren’t familiar with Rafflecopter, you can click here to see how it works. B) You can “like” Pet Scribbles – The Shed blog on Facebook for an additional entry. C) You can follow me on Twitter for an additional entry. E) If you’re really motivated to win this book, come back once a day and tweet about the giveaway again. Each time you do, you receive 3 more entries. You can view the Terms and Conditions below. Good luck! I don’t need to win this book because there aren’t enough hours in the day! But I’ll keep it in mind–don’t enter me, though! Happy Birthday! You’re still younger than me! I want to win the “Modge Podge Rocks!” so much that I put down my ham with tomato sandwich on wheat to type this. I want to win the “Mod Podge Rocks” so badly, that I put down my crafting to enter this give-away!!! I want to win the “Mod Podge Rocks!” book so badly, that I am entering this giveaway even though my night times are kicking in and trying to tell my body that it’s time for sleep! I want to win the “Mod Podge Rocks” book so badly, I am already researching where to buy Mod Podge. 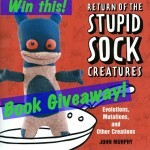 I want to win the Modge Podge Rocks book so badly, I am commenting twice because my first one never showed up! 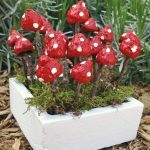 I want to win so badly I am entering every Mod Podge Rocks giveaway I see! I want to win the “Mod Podge Rocks” book so badly, I am printing off a coupon for Hobby Lobby right now to go get more Mod Podge! I want to win the “Mod Podge Rocks!” book so badly, that I will voluntarily watch Disney teenybop shows like Good Luch Charlie with my daughter just to have the opportunity to learn Mod Podge and teach my daughter. Thanks. I want to win the “Mod Podge Rocks!” book so badly, that I am having a hard time finishing my drink!